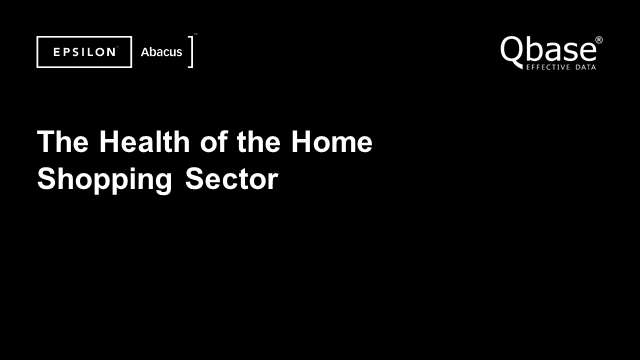 Using transactional data shared by over 500 UK retail brands, the 2016 Home Shopping Trends Report created by Epsilon Abacus gives a comprehensive view of consumer spending patterns across the multi-channel retail sector in 2015 compared to prior year. The headlines of the 2016 report revealed a year-on-year revenue growth of 11.9% and a 3% increase in average order values. The report breaks the analysis down into 6 macro categories, some of which will be looked at in detail in this webinar. The session will be hosted by Rob Jones, Head of Delivery at Qbase, with guest speakers Lara Bonney, Country Director at Epsilon Abacus, and Michele Masnaghetti, Strategic Services Director at Epsilon Abacus, who will talk us through the report, it's category findings and share their knowledge and expertise with attendees.